This is the first of a series of interviews with our longstanding members that we are publishing as a part of our membership campaign that kicked off on September 1st. In these interviews, we ask our members why they decided to become NLIHC members, how they benefit from the Coalition’s work and why others should also consider joining NLIHC. 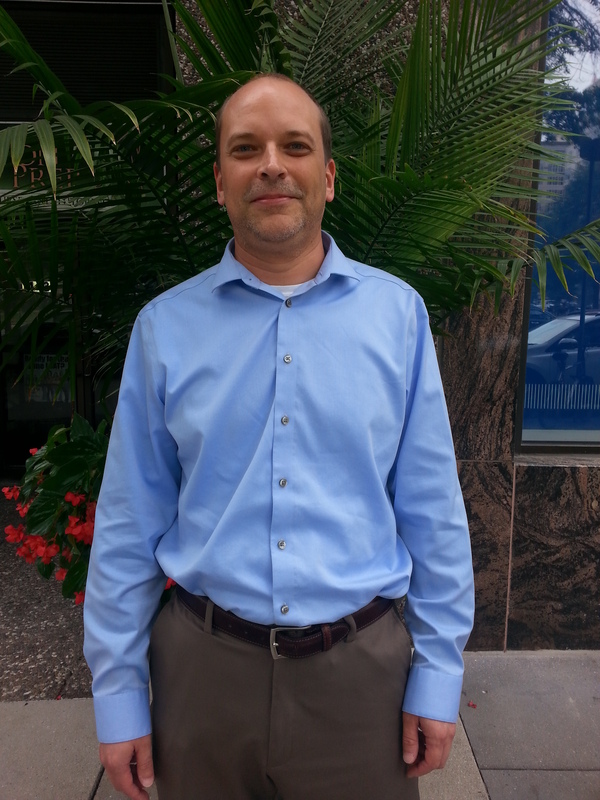 Our this week’s interview is with Andrew Aurand who joined NLIHC in July 2015 as the Vice President for Research but he has been a member since 2006. Before joining the staff of NLIHC, he served as a faculty member in the Department of Urban and Regional Planning at Florida State University, where he taught graduate courses in housing policy, community development, and research methods, and where he completed research on the impact of comprehensive planning and land use on the supply of affordable housing for low income households. He has also worked in the Research Division of the Montgomery County Planning Department. I became a member because I recognized the importance of NLIHC’s mission, and also because I was using NLIHC’s reports that were on-line. 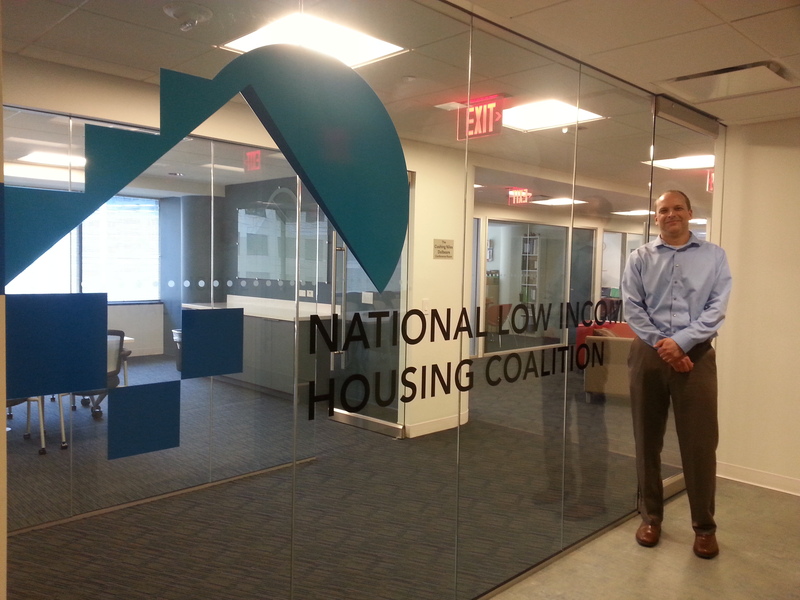 Before becoming a staff member at NLIHC, I taught housing policy and community development at two universities. Very early on, I found that NLIHC’s reports were useful for raising students’ awareness of the housing problems that low income households face. Out of Reach’s housing wage is usually a surprise to people, the Housing Spotlight is a good summary of the affordable housing shortage, and the Advocates’ Guide provides a good brief overview of all of the national housing programs and affordable housing issues. I knew that reports like these are expensive to produce, so I became a member to help support them. While I was getting my graduate degree in social work, I was given an internship at ACTION-Housing, a non-profit housing organization in Pittsburgh. The internship was my introduction to the difficult work of developing and managing affordable housing. While I was there as an intern, and then briefly as a staff member, I worked with residents on advocacy for better public transportation and coordination of services, so I became aware of the challenges residents faced even while living in affordable housing. I’ve been involved in housing policy ever since. There is a constant flow of information on Twitter, blogs, and various news sites about what is happening on Capitol Hill and in individual states and cities, as well as about new research. There often isn’t time to follow everything. Before becoming a staff member, I would look at the Memo to Members and other organizations’ newsletters to get the highlights of current activity. So, what does “home” mean to you? A safe and comfortable place where I can relax. A place that I always want to return to. Do you have any good book recommendations related to social justice, housing advocacy, homelessness, poverty etc? After watching HBO’s Show Me a Hero, I want to read the book. I recommend watching the mini-series if you haven’t seen it. Nickel and Dimed by Barbara Ehrenreich is still very relevant today. Housing Policy in the U.S. by Alex Schwartz. It’s a textbook about housing policy, specifically our federal housing programs, fair housing, and tax policy. You might not read it from cover to cover, but it is a great resource for people wanting to learn about affordable housing policies and programs in the U.S. The Drunkard’s Walk: How Randomness Rules Our Lives by Leonard Mlodinow. It’s not about housing, but is an interesting book about randomness if you like books about statistics and probabilities. It’s interesting even if you don’t. What would you tell someone who is thinking about becoming a member of NLIHC? Why should someone join NLIHC? NLIHC offers a lot of resources to advocates. I think the biggest reason to be a member is to support those resources. Membership dues support the Memo to Members’ weekly policy and field updates, the research reports, and staff who regularly represent affordable housing interests on Capitol Hill. But just as important is that NLIHC, as an advocacy organization, has greater strength with greater numbers. 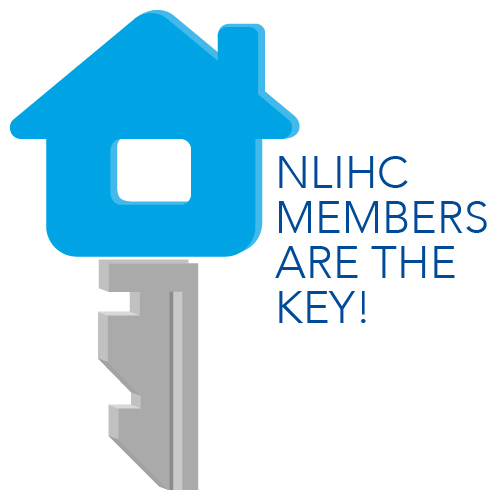 NLIHC’s dues are voluntary, so you can become a member without paying dues. I was preparing a housing presentation for a specific county and wanted to include its shortage of affordable housing for extremely low and very low income households. This was before I was hired by NLIHC. A significant stock of older housing in the county was affordable, but I wanted to point out that many of these units probably weren’t occupied by low income households and, therefore, not available. I had never met my predecessor at NLIHC, Megan, but I emailed her asking if she had information for my county. She wound up sending me a very helpful file that saved me a lot of time.